As supply chains get more and more complex, firms are facing an increasingly difficult challenge in managing vendor risk. 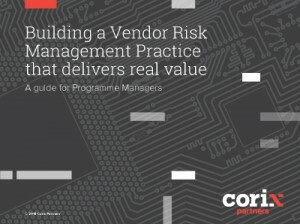 Given the lack of transparency of many relationships, supply chain managers and vendor risk programme managers must keep things simple and focus quickly on key vendors. Instead of focusing on endless interpretations of Risk and complex impact assessments, they should focus on practical Controls instead and on agreeing and tracking remedial actions with key vendors. They must avoid getting into the wrong debate and focus vendors on the reality of their Controls environment (and their contractual obligations), instead of hypothetical discussions on what could go wrong.